While some out there may be familiar with the Wrike app for project management on iPhone, iPad and Blackberry devices, a new version has landed for users of the Google Apps Marketplace, and the key point about this one is its price tag. Specifically, the new version of Wrike, a popular project management app that’s been purchased for use in businesses like Ticketmaster and Accenture, as well as Stanford. Those users would have shelled out at least $49 a month for the Wrike app, but now, users can get their hands on the Google Apps version for no charge. Those users who get in on the project management superstar’s migration to the free version will get access to support for an unlimited number of collaborators. 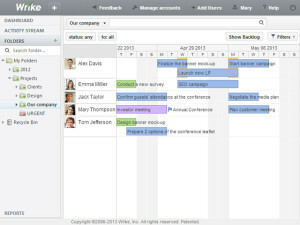 Collaborators can access tasks and mark them complete, as well as attach files in aid of getting those tasks complete. Creating and assigning tasks, however, is limited to the so-called “power users”, of which there can only be five in the free version. This is actually, at last report, in keeping with Wrike’s overall philosophy that tasks are at their best when shared among many, but only able to be altered by a few. One of Wrike’s biggest concerns, at least according to Wrike’s CEO Andrew Filev, was that the so-called “freemium” model would end up dragging customers away from the for-pay version in exchange for the freemium edition. However, the converse seems to have occurred, with five percent of the free customers going over to the paying version, and they’re not taking long at all to do it. While the Wrike app won’t be the project management tool of choice for just anybody, its sheer versatility will leave it worth considering for many. Best of all, the new freemium version allows potential users to try the app out for themselves to see if they happen to be one of the people for whom the Wrike app is best. And while the freemium version is going to prove worthwhile by itself for many users–especially those engaged in smaller businesses–but bigger businesses with more users and more projects will likely welcome the fully-featured version, even with its greatly increased price tag. Indeed, the full-featured version includes plenty of extra features the freemium edition does not, like Gantt charts, a drag-and-drop interface, and time tracking functions, which will be especially useful on the larger business end of things. There’s even a special advance showing of an email plugin that will let Wrike tasks show up in Apple Mail. The combination of big features and try before you buy functionality makes Wrike a terrific choice for users of all stripes. But it’s not just top notch project management that keeps businesses at the top of their game, it’s also cloud-based telephony features like toll free numbers and auto attendants to keep callers able to get a hold of you easily as well as getting to the best person to handle their call. 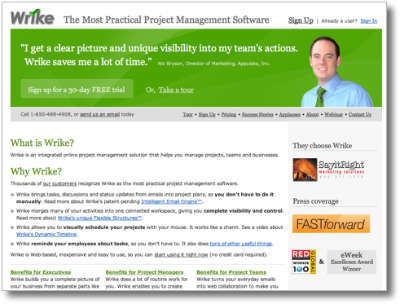 Thus, Wrike looks to provide top-notch service for most any size business, to help keep your projects under control. This entry was posted in iOS Apps, iPad Apps, Phone Apps, Small Business, Virtual Office by Steve. Bookmark the permalink. Personally, considering the price point and the overload of features, I’d go for collaboration tools like Proofhub (www.proofhub.com) or Wunderkit. Project management needs to be peeled back, otherwise some members of the project just won’t want to participate or will kick against the pricks. Both Proofhub and Wunderkit make project management a lot easier to do, allowing every member of the team to participate and help in collaboration. Thanks Annie for recommending such a nice tool. 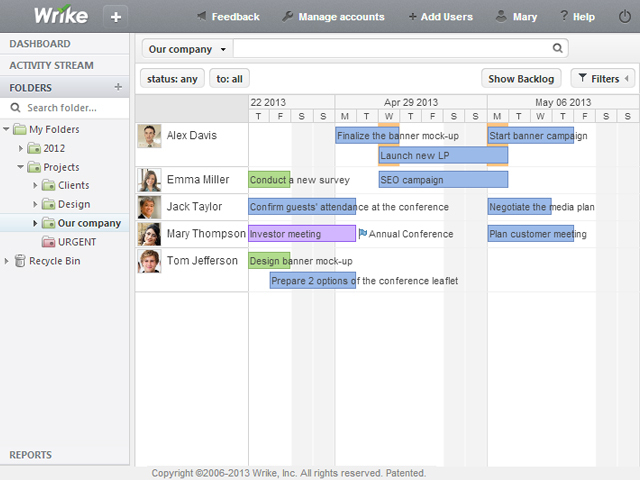 I am using this tool to manage my projects and team. Bitrix24 is a better free alternative.